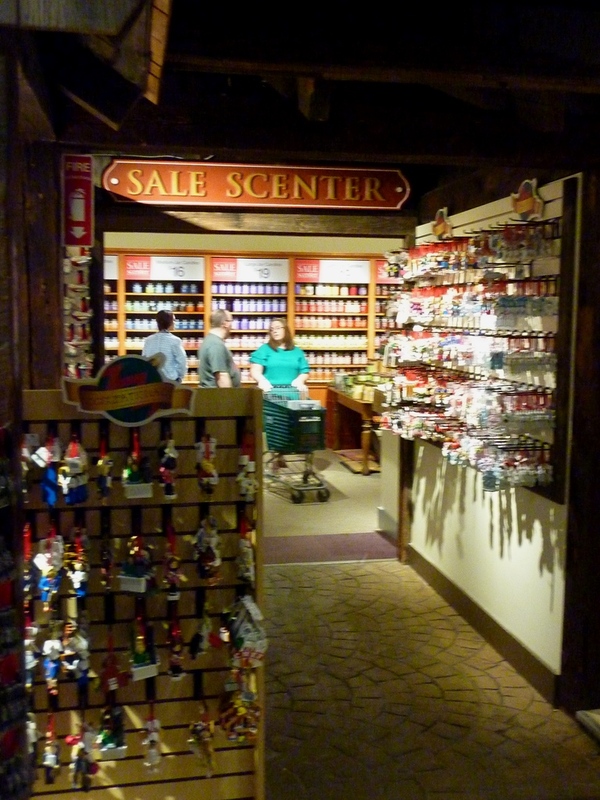 Major tourist attractions usually require a high admission charge, but the Yankee Candle Village flagship store in South Deerfield, Mass.,has common “scents” not to do that. Sure, you could spend a fortune on candles as there are 200,000 candles and 200 scents at the Candle Emporium department. Yankee Candle Village reigns, after all, the world’s largest candle store. While it is tempting to buy a thing or 10, the reality is that you can enjoy the experience with free admission and see some fun attractions. To truly cater to the budget-minded, the Yankee Candle Village also offers a “Sale Scenter” with big discounts on candles and other items. The Sale Scenter at Yankee Candle Village flagship store in South Deerfield, Mass. Beyond candles, the gift selection shines as another bright light with, to name a few, home furnishings, kitchen and garden accessories, a gift boutique with Vera Bradley, Alex and Ani merchandise and more, items for sale by New England artisans, jewelry, toys, souvenirs, collectibles and gift baskets. 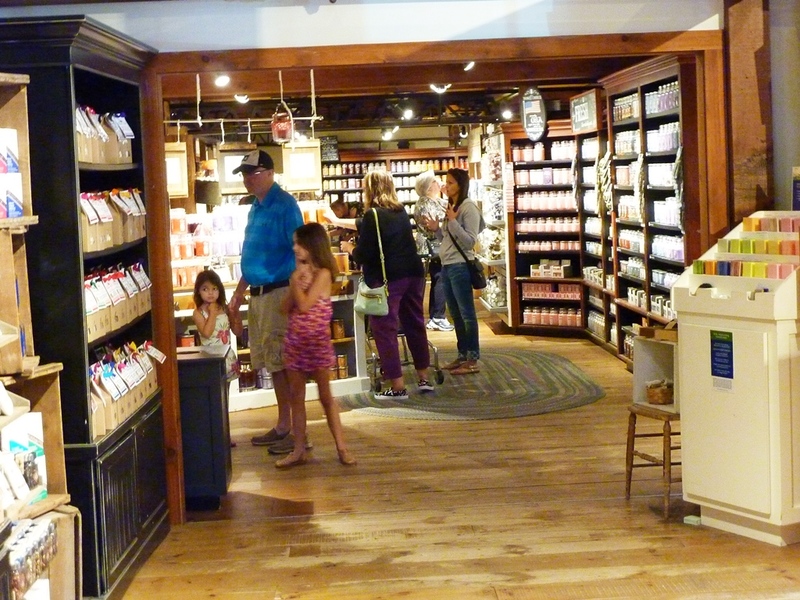 If that’s not enough, read on as the Yankee Candle Village flagship store offers some other features that come as a complete surprise in a store than was originally meant to sell just candles. Candles everywhere at the Yankee Candle flagship store in South Deerfield, Mass. With all that walking within the 90,000 square ft. store, Yankee Candle Village knows many will build up appetites so they feature many food vendors including Au Bon Pain, Ben and Jerry’s, Popcornopolis, Yankee Candy with 125 different kinds of candy and the Homemade Fudge Counter. 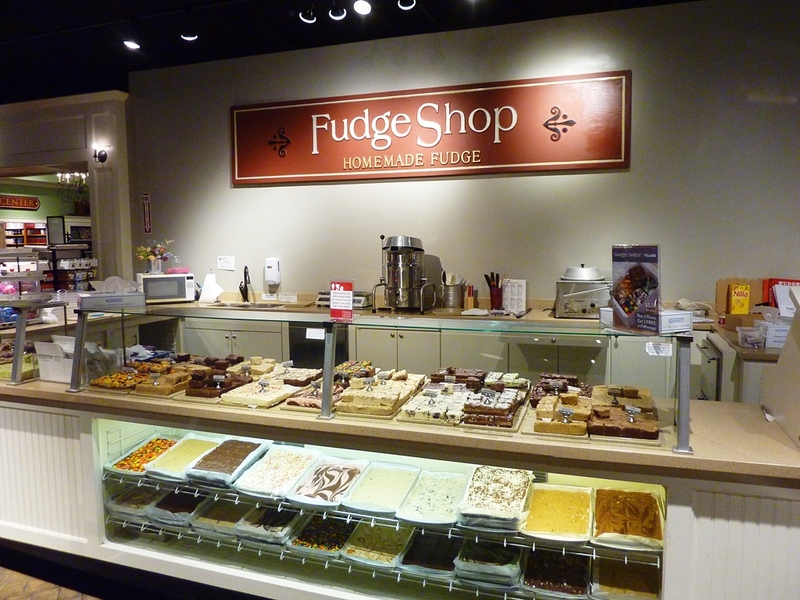 The Fudge Shop at the Yankee Candle flagship store in South Deerfield, Mass. The Bavarian Christmas Village features a year-round dedicated 14th century German Village Christmas celebration theme, including a 25-ft. tall Christmas tree, beautiful model toy village creations, snow falling from the ceiling, decorative lights everywhere and the presence of Mrs. and Mrs. Claus. The Black Forest Store continues the Christmas theme with holiday items for sale, including tons of ornaments. Bavarian Village at the Yankee Candle flagship store in South Deerfield, Mass. The Nutcracker Castle is a sight to behold with Santa’s Workshop making Yankee Toys, as well as the sight of six-ft. tall nutcracker and a moat with goldfish swimming underneath the drawbridge. Wax Works is a fabulous attraction where kids of all ages can make wax souvenirs, wax hands, wax art and wax candles. 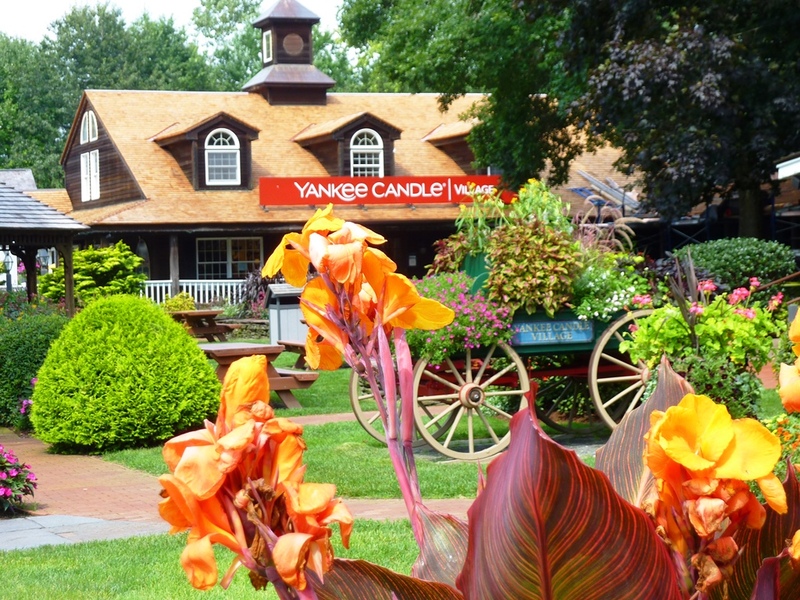 Billing itself as “Scenter of the Universe,” Yankee Candle Village in South Deerfield attracts million of visitors each year. Next to Boston’s Freedom Trail, this could very well be the second most popular New England travel attraction, according to those in the tourism industry! It’s a beautiful place, too, with more than 12,000 tulips and daffodils on the property. Beautiful landscaping at Yankee Candle Village flagship store in South Deerfield, Mass. 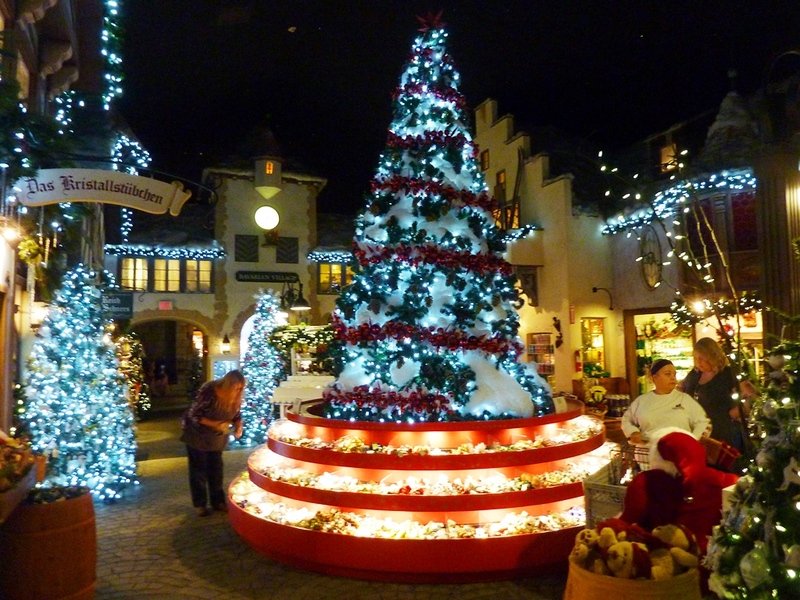 For more information on Yankee Candle Village — including hours and the many year-round daily and special events — log onto the Yankee Candle Village South Deerfield web site. 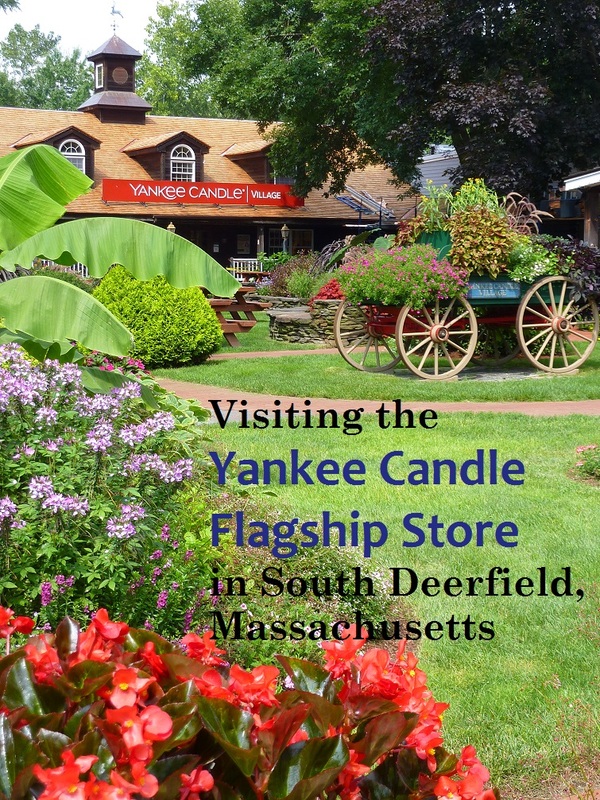 Yankee Candle Village is located at 25 Greenfield Rd., South Deerfield MA.